Bamboo Apps studio was engaged in the optimization of the app Škoda LittleDriver. They used Splitmetrics to run a series of A/B experiments testing various backgrounds of ios screenshots and their order. In the end, their efforts were crowned with 15% conversion uplift. Bamboo Apps is a Design & Software Studio located in Estonia. The company develops branded solutions for key players in the automotive market, mobility and enterprise security. Such brands as ŠKODA, KFC, and Adidas are among their clients. 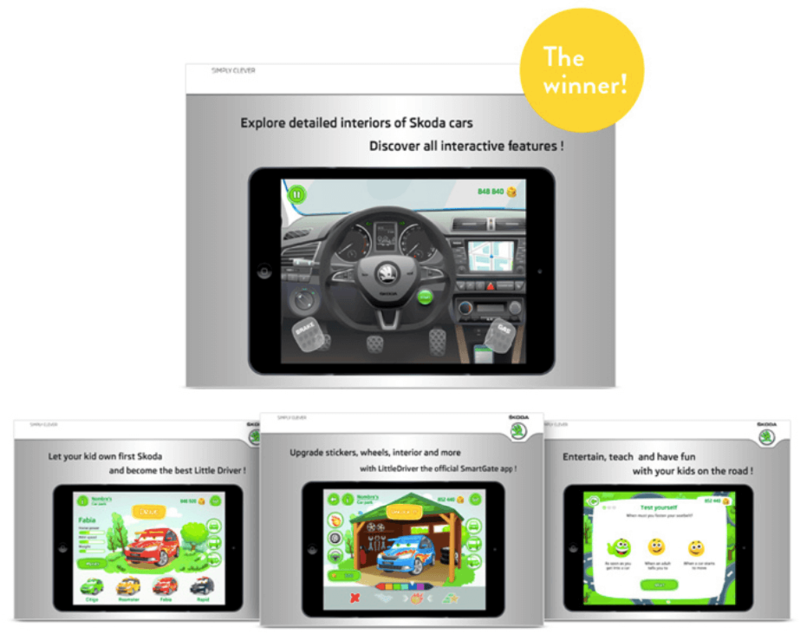 Bamboo Apps studio was responsible for creating Škoda LittleDriver app for their respectful customer – Skoda Auto. The team was well aware that success in the app stores isn’t always predetermined with the quality of an app. Bamboo Apps knew that an optimized product page with pitch-perfect ios screenshots and other elements may favor impressive organic growth. The team of Bamboo Apps designers came up with several ios screenshots variations. The problem was finding out which one could boast better convertibility. A/B testing seemed to be the right method and the team partnered with SplitMetrics to make data-driven decisions free of bias. The original idea of Bamboo Apps was to choose the set of ios screenshots from their arsenal that brought the biggest number of downloads. At first, Bamboo guys were about to use the one that they liked most as many publishers do these days. However, we offered to test everything using real user data. To showcase the effect measly changes in ios screenshots may have, we added a new alternative by simply reordering already existing ios screenshots. It took only 5 minutes to set everything up on SplitMetrics platform. After setting up the experiment, we brought a good number of targeted clicks from Facebook to make sure that the audience that visits the landing pages with different ios screenshots sets is relevant. The numbers we got after finishing the test were quite impressive. The winning ios screenshots variation improved conversion by 15% resulting in a stunning 50% tap-to-install rate. That basically means that if you have, say $10,000 budget for user acquisition – you are able to get 15% more installs just by having your ios screenshots properly organized on the product page. It’s important to spare time for results analysis. So Bamboo and SplitMetrics team inspected the ios screenshots alternatives once again and came up with the following reasons for the success of the winning variation. From our experience, we know that simple background of ios screenshots with a minimum number of details works better most of the times. The first ios screenshot should explain what users are able to get from the app – short and straightforward caption is just what people want to see. Interior view, steering wheel, all buttons are simply calling, “Press me! Touch me! Start using me!” This ‘silent’ call to action is a great trick for a converting ios screenshots set.